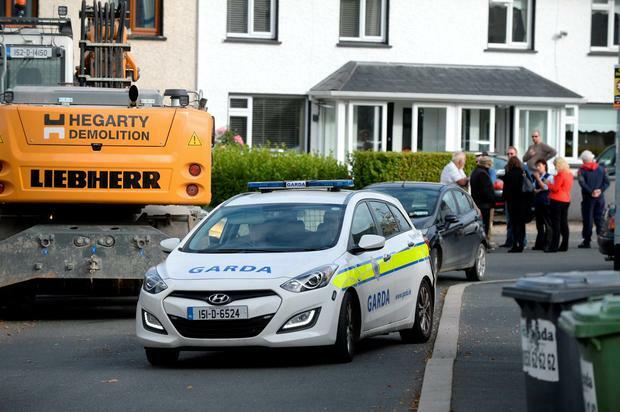 Local residents of a south Dublin estate today delayed the initial construction stages of a temporary halting site earmarked to house the 15 adults and children left homeless as a result of the tragic Glenamuck fire. The Minister said this evening: "I think it says an awful lot about Irish society and in a very disturbing way." "The nation is heartbroken about what happened last weekend, We have responsibility for communities, we have responsibility for traveller housing I have responsibility for fire services and we are very much across this issue. 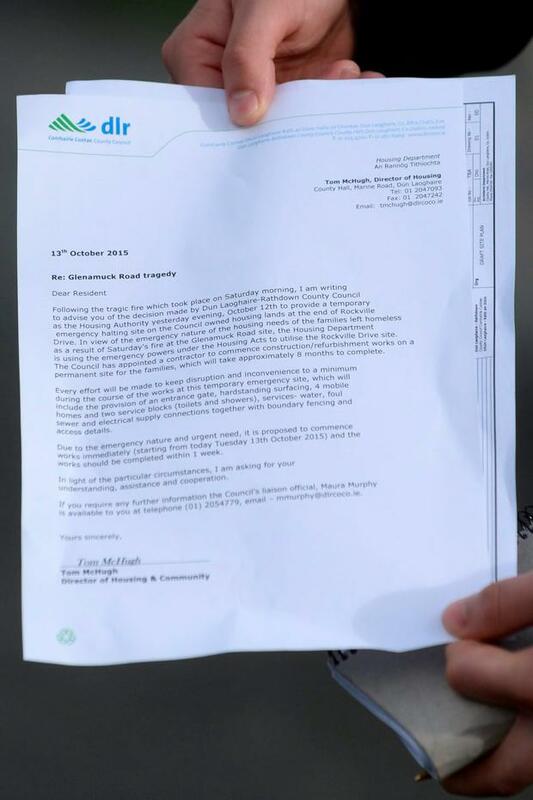 Earlier today, Dun Laoghaire/Rathdown County Council issued a letter to residents at around 11am this morning informing them that work was to begin on a plot of land in the Rockville Drive estate immediately to accommodate the survivors of Saturday's fire which claimed 10 lives. The remaining family members from the deadly blaze were due to move onto the temporary site on Thursday. The letter from the council states that the accommodation is only on a temporary basis, until the construction and refurbishment of a permanent site is completed, which is due to take eight months. 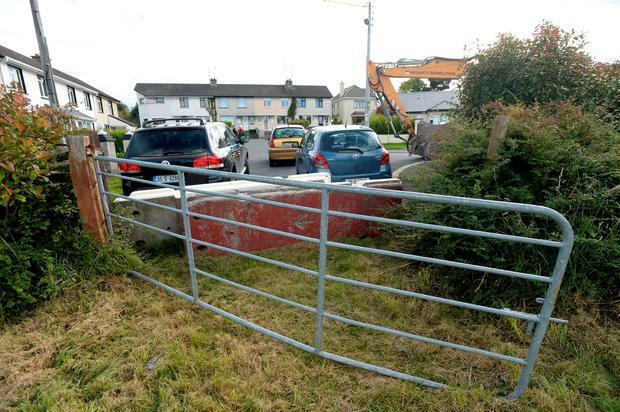 However, residents of the estate this morning blocked the entrance to the plot of land, preventing a JCB from beginning the proposed construction work. Minister Kelly said that the site was a "temporary site" and he would like "the people behaving that way to reflect on that.". "To get the news that this site is being blockaded and we’re trying to get this delivered for Thursday and I gave the families my word it would be delivered and the local authority would move heaven and earth to ensure these families will be accommodated, to find out that this has happened was extremely disappointing and I’m being polite in saying that. "We have identified another site which we are working on, and the fact that we have to do that, I think it says an awful lot about Irish society and in a very disturbing way. "Collectively our hearts go out to this family. I visited a young boy whose family has been taken away from him and to think that people have blocked the entry to this [alternative] site given what that family has gone through is very disturbing and shameful." A peaceful stand-off ensued with residents refusing to move their vehicles which were obstructing the entrance to green field. The Southside Traveller Action Group issued a statement saying they hoped the situation could "be resolved in the best interest of the families". "They need to start to piece their lives back together,” said the group’s Director Geraldine Dunne. “We want to thank the County Council and other agencies and the many local residents who have been so supportive to those affected in these difficult few days". 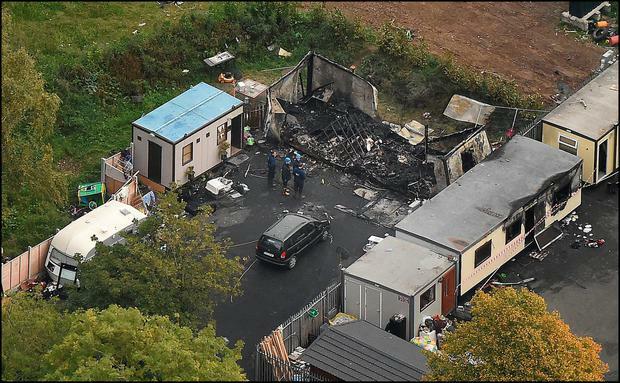 Flames tore through a prefab at a halting site on Glenamuck Road in Carrickmines and the blaze quickly spread to a second home, leaving the victims with little chance of survival. Tara Gilbert (27), who was four months' pregnant, died along with her partner Willie Lynch (25) and their children Jodie (9) and Kelsey (4). Willie's sister Sylvia Connors (25) also perished along with her husband Thomas (27) and three of their children - Jim (5), Christy (2) and five-month-old Mary. The 10th victim was Jimmy Lynch (39) - Willie and Sylvia's brother. Currently only one child, Tom Connors (4), remains in a hospital following the fire that killed two families. 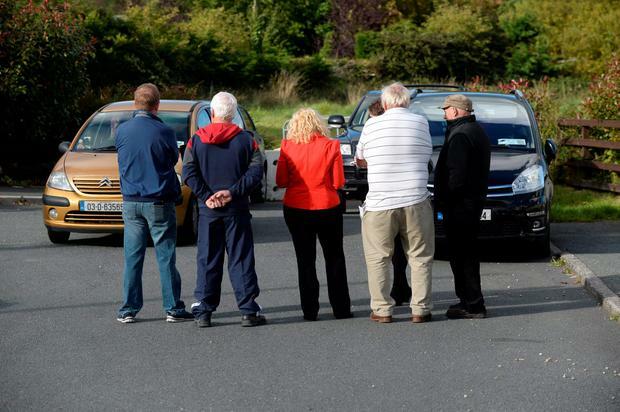 “The funerals are not likely to take place before this weekend and the location of these two funerals will be in Bray and Wexford,” added The Southside Traveller Action Group. A forensic examination of the Glenamuck halting site is ongoing and the identification of the deceased continues.